Are you watching the Opening Ceremonies? Or I suppose once this post reaches you, it would be more accurate to say Did you watch the Opening Ceremonies? They say Norway is the most winningest country in the Winter Olympics. Of course, if there's one thing Norway has, it's winter. But this is a fact that R is very proud of, and I'm pretty sure he's parked himself permanently on the couch to watch Norway trounce the rest of the world for the next two weeks or so. He can literally watch those Norwegians skiing around in circles during the biathlon for Hours. And Hours, and Hours. It's an impresive feat of stamina on all counts. All Time Winter Standings: Norway has won 280 medals, with Russia in second with 217 and the US with 216. That's pretty good for a country for 4.7 million people, even I can admit that. Is this at all related to food? Not in the slightest. But I mean, come on. The Olympics. 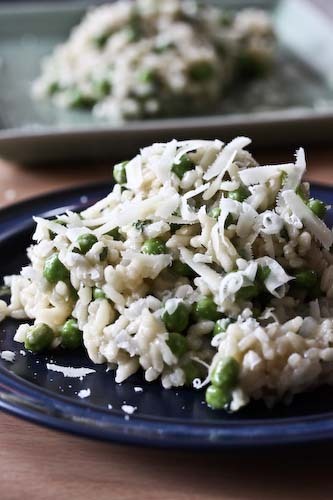 So with no clever segue, I'll mention that I like to have these grain salads around during the day. Say, when your husband is too busy watching his home country dominate to want to go anywhere or do anything, for example. (How's that for a belated transition?) They can be eaten warm or cold, as an entire meal or as a compliment. I tend to make them entire meals, especially if I'm alone. The recipe comes, once again, from The Eat-Clean Diet Cookbook even though I am very against diets. So in protest, I threw in a generous helping of feta cheese, which, I suppose, is not considered to be "clean eating." But it is good eating, so there. 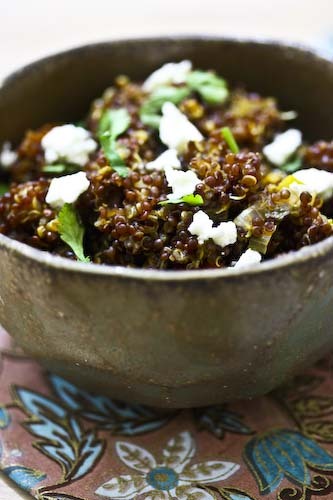 Also, I used red quinoa because I had it, and because it's cool looking. Otherwise, there's no appreciable difference between the red kind and the tan kind. Use what's convenient. Heat the oil in a large saucepan and add the tomatoes, shallots and garlic and sauté for 3-5 minutes until the shallots are soft. Add the stock and bring to a boil. Add the quinoa and cayenne pepper. Bring back to a boil, then reduce the heat, cover, and simmer for 30 minutes. The liquid should be fully absorbed. Stir in the salt, pepper, cilantro and feta and serve. 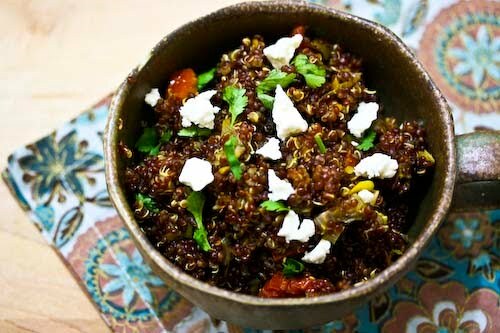 I really like quick and tasty whole grain salads like this. What an amazing looking dish! I just made this. 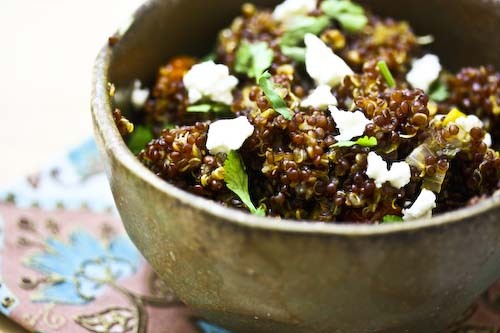 I searched your blog for quinoa and this was exactly what I needed! SO GOOD! !